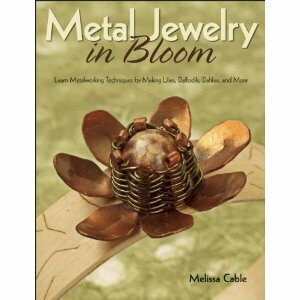 If you love flowers, you must have Metal Jewelry in Bloom by Melissa Cable. Seriously. 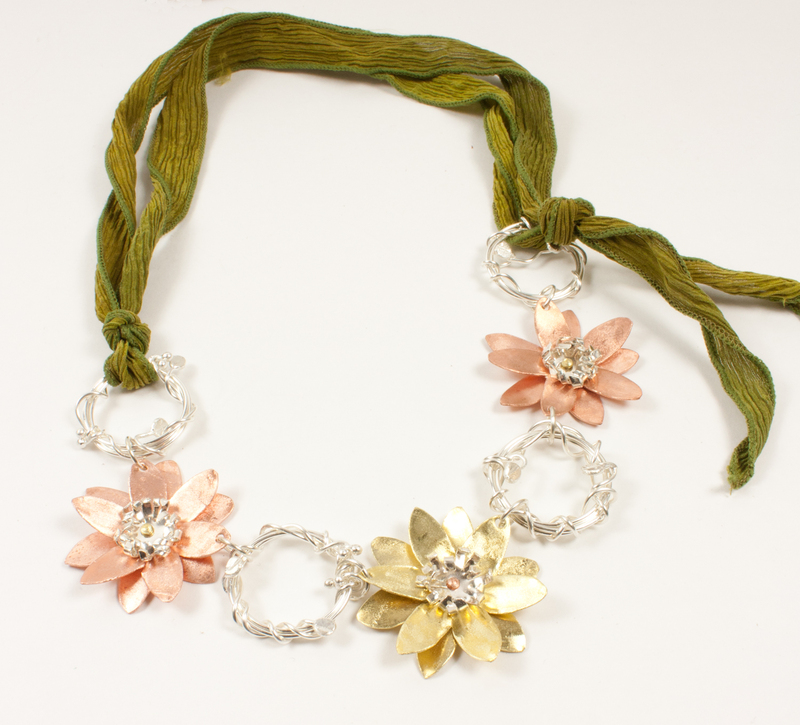 The way Melissa teaches you to create these flowers from the simplest metal components is amazing...there are no limits! Simple, yes, but not necessarily easy, if you understand my meaning. If you have ever toyed with the thought of working with sheet metal, this is definitely the place to start. Melissa teaches us how to use shaped templates, which are included, to cut and layer the metal sheets into sunflowers, daffodils, orchids, roses, and more, all using cold connections and simple techniques. 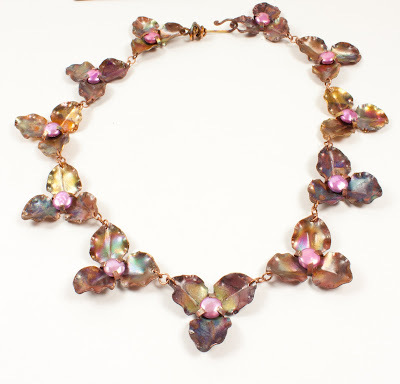 She includes instructions for 20 flowers and 12 complete jewelry projects that use them. Melissa starts with the fundamentals, breaking down the flower structure in the first chapter. The second chapter turns to specific flowers and shows 15 basic styles. Chapter three teaches advanced techniques for 5 more complex flowers, plus leaves, branches, and vines. And the last chapter includes the projects to create finished pieces from your components. Ooooooh! I love metal and flowers! Thank you for bringing this book to my attention! Melissa, I love this book, it's on my wish list. I am just learning these techniques but yours are stunning. Welcome to Mixed Media Month on Beading Arts!